Blog: What will happen if Niti Aayog dissolves MCI? Despite having the highest number of medical colleges in the world, and currently having approximately 9.29 lacs doctors enrolled on the Indian Medical Register, India is way behind in achieving the targeted doctor population ratio of 1:1000 as per WHO norms. Shortage of doctors and number of medical seats in India, has affected Doctors job by slowing the progress and quality of health care, especially to the vulnerable and poorer sections of the country. In 2014, more than 70% of outpatient care (72% in the rural areas and 79% in the urban areas) and more than 60% of inpatient care (58% in rural areas and 68% in urban areas) was in the private sector. Private Doctors are now therefore, the first point of contact in both rural and urban areas for many ailments, including fevers and acute illnesses, care of neonates, and treatment of diseases such as tuberculosis. The Government of India is proposing a radical overhaul of monitoring and development of healthcare system in the Country. Niti Aayog, think tank of Indian Government on policy making is planning to replace the MCI (Medical Council of India) with NMC (National Medical Commission). All Doctors seeking medicine practice in India have to get registered in the National Register to be maintained by the Board of Medical Registration. All Doctors who have pursued medical education from outside India have to clear National Licentiate Exam (NLE) to practice in India. National Board of Examination (NBE) to be merged with Post Graduate Medical Education Board (PGMEB), as it creates confusion and no country in this world has 2 streams of medical education. Private Medical Colleges will be allowed to set fees for at least 60% of their seats. 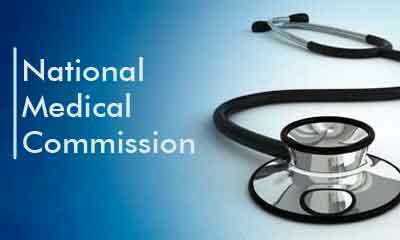 “Draft National Medical Commission Bill 2016” is released for consultation and many Medical Fraternities are calling this replacement of MCI as “a remedy worse than malady”. In spite of mixed reactions from Medical Professionals of India, majority of Indian States have given a positive response towards government recommendation appointed by NITI Aayog Panel. Doctors job in India no doubt is an evergreen career, as it has both status symbol and high remuneration. So, besides dissolving MCI, Indian Government should focus on improving Rural Healthcare scenario by setting up of Primary health centers. This will certainly reduce the mortality rate of people residing in interiors of rural areas of India. Some changes are mandatory as these changes aim to ensure amalgamation of basic and biomedical sciences along with clinical studies thereby reducing needless knowledge overload through an innovative study plan for medicine in India. It’s time to think before taking such big decisions whether it will have positive impact on medical fraternity or not. 3 comment(s) on Blog: What will happen if Niti Aayog dissolves MCI? Mr. Sunny Sinha left a important point that NLE has to be clesred eveen by doctors completed course in India. What criteria is followed for establishing new medical colleges. Search and selection of members will be influenced by political bosses and pvt medical lobby. Things r still confusing stage no one knows the future of events . Medical education is a big business in India , business has no ethics but every one wants doctors to follow ethics. When allow managements to fix fees for 60 percent of seats it must compulsory to treat 40 percent patients free of charge because these patients r used for clinical teaching .